We completed a extensive remodel of our office spaces at work a few months ago. It is very nice. They added a bunch of conference rooms. 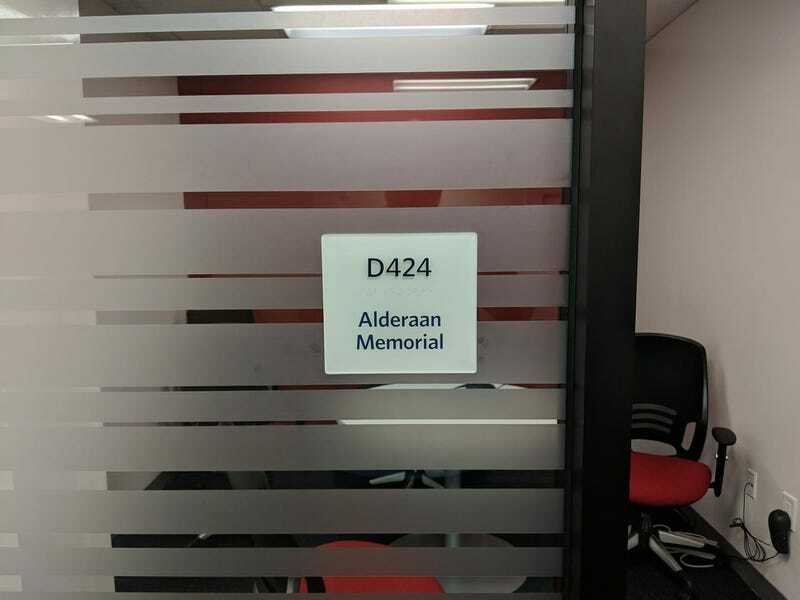 One of my friends taped a sign on one during construction calling it the Alderaan Memorial room. When the real sign guys came through they made it permanent. It makes me happy. I’m hoping the sign guys got it.